Home Styles imports and markets an extensive line of RTA, casual lifestyle furniture. furniture that is fashionable and functional, as well as easy to assemble. The Crane Stand’s unique design makes it the best laptop stand for reducing health problems related to laptop use. 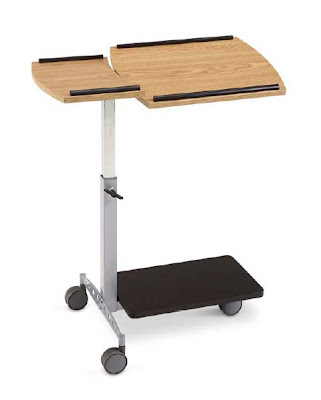 Due its unique design incorporating high quality aluminum tensioning knobs, the stand can be easily locked into place in an infinite number of positions, making the workspace completely customizable depending on how high or low a user sits, or in whatever position is most comfortable. Multiple configurations allow for the Crane Stand to be used in a standing or sitting position, allowing the stand to go from the office to the workshop floor with ease. When time spent at a computer is added to time spent sitting in front of TV or other sedentary activities, posture problems like forward head and rounded shoulders develop to persistent musculoskeletal problems like neck and shoulder tensions, tension headaches and repetitive stress injuries. Our bodies are not given enough time to recover from the stress caused by prolonged immobility.